Come out for a CREEPY good time on Saturday, October 27th! 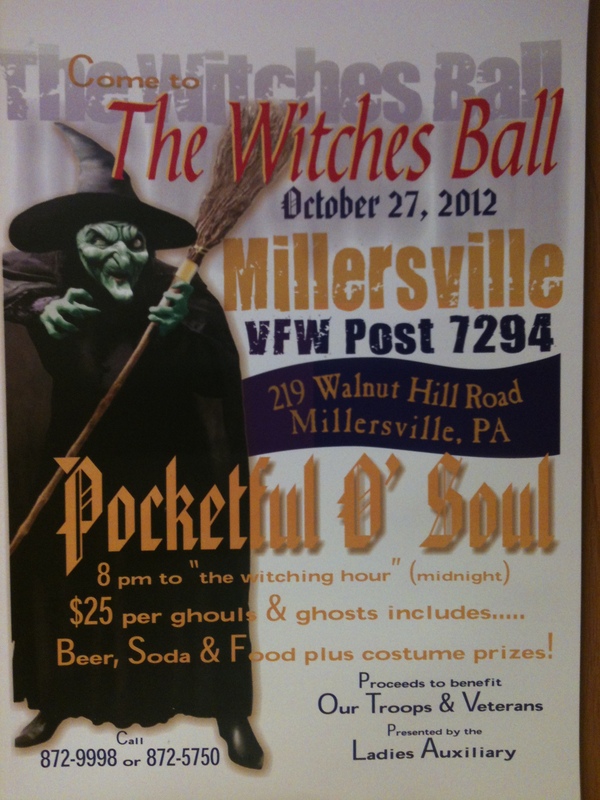 Featuring the excellent sounds of Pocketful O’ Soul, the VFW will be your place to “haunt” for Halloween! The party goes from 8pm till the Witching Hour (Midnight, for you mere mortals!). 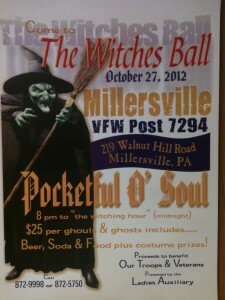 The cost is $25 per person, and features beer, soda, food AND costume prizes! Dress your best! For more information, call 872-9998 or 872-5750. Proceeds will benefit Our Troops & Veterans! Presented by the Ladies Auxiliary. All You Can Eat Breakfast Buffet! Come join us for another wonderful ALL YOU CAN EAT BREAKFAST BUFFET on Sunday, September 30th! This is a DELICIOUS way to support your post! Come and get your full of pancakes, scrambled eggs, bacon, sausage, potatoes, toast, coffee/juice, and sweets! The cost is $7.00 per adult, ages 5-8 $3.00 per child, and ages 4 & under are FREE!